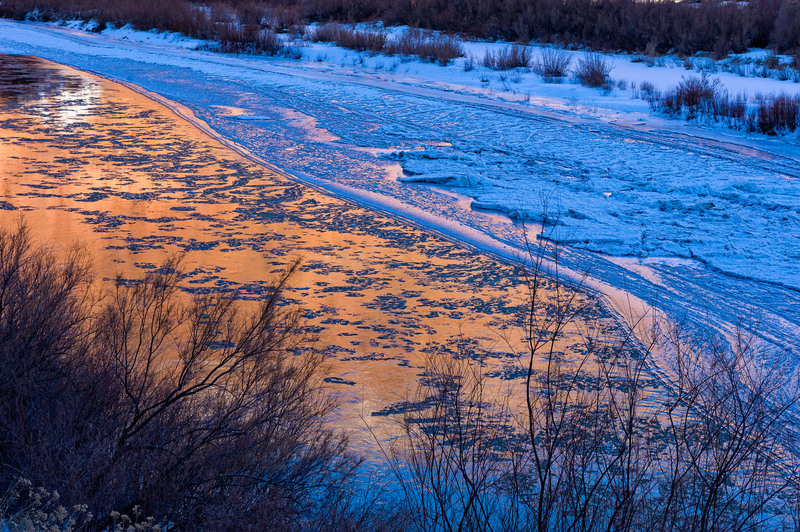 Colorado River in WInter. Scenic section of river with frozen water and floating ice. Scenic landscape with canyon walls reflecting morning sunlight. Captured as a 14-bit Raw file. Edited in ProPhoto RGB color space.